Getting the modulon slot expander ready for ordering took us more time than we originally anticipated. The whole idea of creating a compact slot expander emerged based on two assumptions: there is demand for a slot expander and we had some old MT telecom modem casings lying around which we wanted to give a new destination. The design, testing and building the first batch of pcb’s was already one year ago. We obtained some more MT telecom casings, adjusted these for the slot expander and actually sold a few to testers and at last years MSX Nijmegen fair. Then as demand rose we had two problems: obtaining enough casings which we had to buy from collectors and laser cutting the top of those casings to fit the cartridges in. Our last batch that we wanted to laser cut failed, because the company in question made some errors in programming the laser cutter. We left with a failed batch, but still had to pay for the use of the laser cutter. Then we tried new companies to help us out with custom cutting the casings, but unfortunately any option we tried failed because of operational costs of the adjustments, lack of time on the side of those companies, or simply commercially not interesting for those companies because of the low production amount. So back to the drawing board. 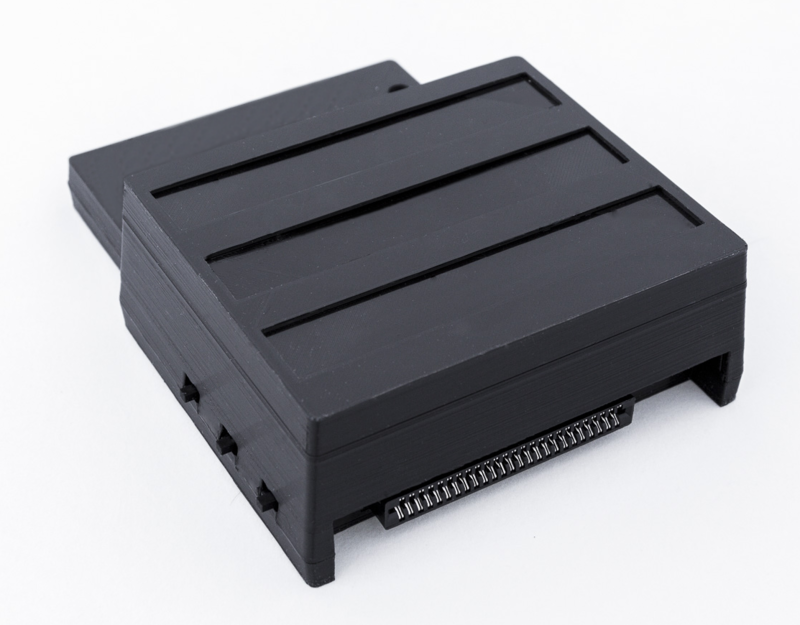 We decided to develop a 3d model of the casing and found a company who could help us out developing this model and then 3D print the prototypes, test them, update the 3d model, etc. until we were satisfied with the result. This took us about six months. We are happy to say this journey is now completed. 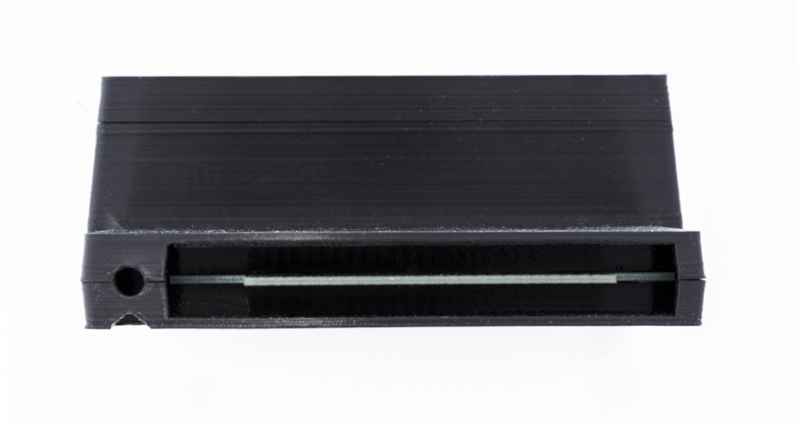 We have a finished model and with this model we can 3D print your casing after ordering, on demand. Our latest model even has cartridge covers on top (spring operated) for dust prevention. Back side of the Modulon slot expander. Side of the Modulon slot expander. Slot insertion side of the Modulon slot expander. 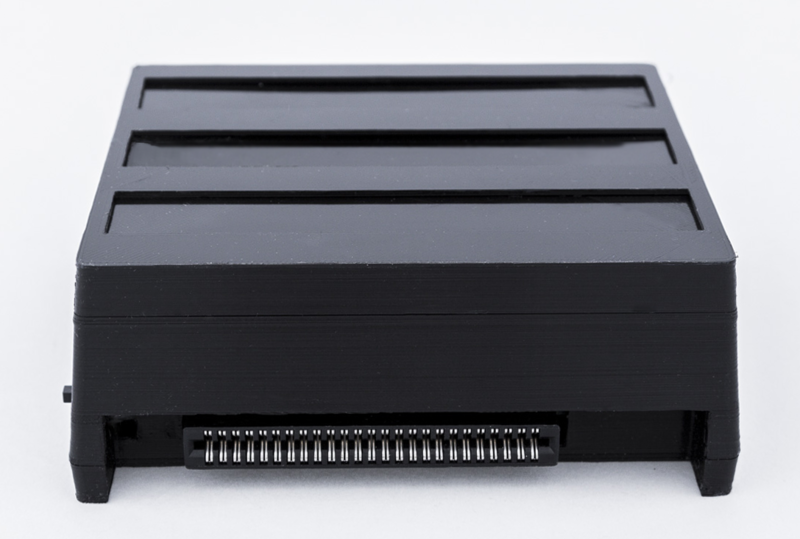 Our stackable slot expander, with it’s own clock, adjustable volume controls for all slots, fully MSX compliant with Busdir support, Playsoniq compatible and on/off switches for the top slots and 3D printed in the color you like is 100 euros plus shipping. Please note that it will take one to two weeks after receiving your money before we can ship out. We need to place your order for printing the casing, collect it, mount it and then we can post your package. Because of holiday we will not ship out between 22 december and 22 january but you can still place your order, we will read our e-mail so we can continue to place orders at the 3D printing company during our holiday.